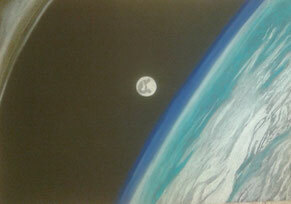 I am a visual artist focusing on various themes from astronomical art to animals and landscapes. 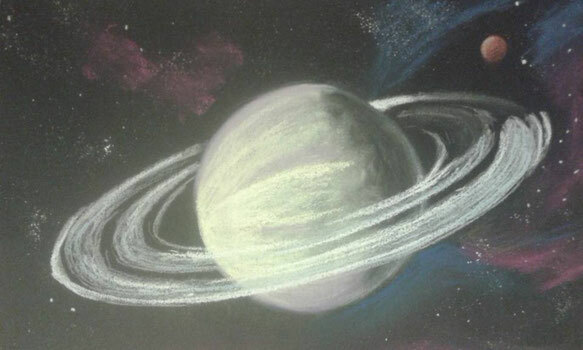 I create drawings and paintings, working mainly in pastels, pencil, as well as oil and acrylic paints. In order to portray subjects of Earth/space landscapes and astronomical scenes accurately, I spend time researching physics and astronomy, and looking at NASA images. I aim to create scientifically accurate imagery, while allowing for imaginative and creative landscapes. After making studies of the existing images we have of the stars, moon and nearby planets, I can then use these to imagine alien landscapes which could, potentially, physically exist. I graduated from De Montfort University in the UK in 2005, after completing the degree course BA Fine Art and German. I have taken part in exhibitions in the UK, Prague in the Czech Republic, and Berlin in Germany, with the most recent exhibitions being group shows at the Ballery, (Nollendorfstr. 11-12, Berlin - http://theballery.com ). I took part in 3 group exhibitions at the Ballery between 2014 - 2016. I currently live and work in Prague, Czech Republic. Visit me on Facebook by clicking the button below.